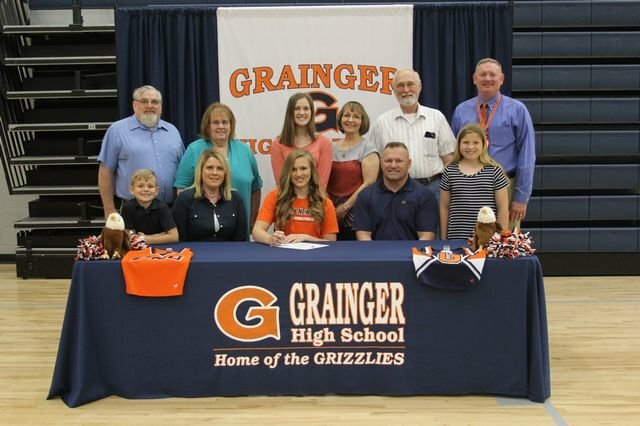 Allison Nickels signed with Carson Newman University and will be attending this fall. She will be joining Carson Newman's cheer team. She is pictured with her parents, siblings, grandparents, and Mr. Brett Coffey.